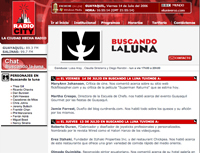 Yesterday I was interviewed by the folks over at Radio City, an affiliate of the BBC in Ecuador, on a show called Buscando la Luna, Looking for the Moon. Hosted by Luisa Aray, Claudia Sinisterra and Diego Rendon, Looking for the Moon is a late-night lifestyles show that interviews "high class players and program[s] the best music of all time, the different genres and cover[s] everything that happens in the world of technology, film, music, culture, tourism, health, good dining and much much more." They asked me lots of questions about cheese including, "Where do the best cheeses come from?" 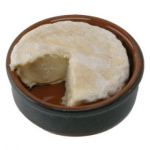 and "What creates the holes in Gruyère?" It was a great experience, and it was my first interview conducted in Spanish (with the help of a translator, of course). If any of you are reading this from Ecuador, and maybe heard the interview live, please drop a comment and say hi! I recently got an email from a certain "Leon the Milkman", a dairyman from South Africa. I checked out his blog as well as his other site www.dairy-info.org, and they both have a wealth of information about cheese and other dairy products. In fact, if you sign up for a membership at www.dairy-info.org, you receive two free PDFs: a 23-page dairy dictionary and a cheese-tasting terms glossary. Definitely worth checking out!